We are proud to offer the most complete selection of VW Interior Parts and Accessories in the Volkswagen Industry. As VW enthusiasts, we understand the importance of restoring your Volkswagen Bus just the way you want. That is why we offer the largest selection of interior upholstery materials and colors so you can restore your VW to stock or create a custom look based on your personal vision. JBugs is your one-stop-shop for Volkswagen Interior Parts. We have everything from seat covers to headliners to dashboards and virtually everything in between. All of our Interior Upholstery is made in the USA by TMI. We offer the most complete selection of quality replacement VW Seat Upholster in the Volkswagen industry. All of our VW Upholstery is made by TMI in the United States. Our VW Seat Upholstery is color correct, made using only the finest components and quality checked to ensure customer satisfaction. Our selection of materials includes Basketweave Vinyl, Squareweave Vinyl, Tweed Cloth, Smooth Vinyl and Velour Cloth all in a variety of colors. If we do not already offer what you want, we can custom make VW Interior to suit all of your needs. 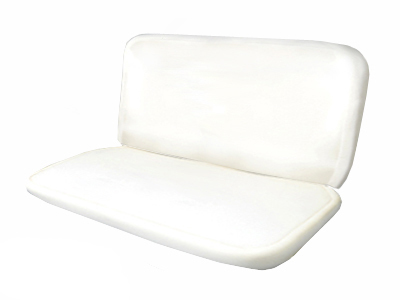 Our Seat Upholstery is manufactured with only the finest material and is made to original factory patterns in the USA. Do NOT confuse our quality seat covers with the cheap foreign made imitations. In addition to our huge selection of Classic Volkswagen Seat Upholstery, we also offer all of the essentials needed to re-cover your seats, including our Complete Interior Restoration Video that will walk you through the steps to install your new VW seat covers. We offer a complete selection of Volkswagen Seat Pads and Seat Pad Kits that are precision designed to fit each year and model of VW. Like our Volkswagen Seat Upholstery, our seat pads are guaranteed to fit perfectly. Our Volkswagen Seat Pad kits include pre-formed injection molded high density foam rubber that is designed to fill out your seat properly and last for years. Like our seat covers, our seat pads are made by TMI in the United States and guaranteed to fit your Volkswagen Bus perfectly. We highly recommend purchasing burlap or sisel pads when installing new seat foam. A layer of burlap or sisel will keep the springs from eating into the foam over time. 6 yards of burlap or 3 sheets of sisel are recommended to cover both front and rear springs. We offer VW Headliners in a variety of materials including original perforated vinyl, crush grain vinyl and mohair as well as custom materials such as tweed and velour. We offer stock headliners so you can restore your VW Bus to stock. We also offer custom headliner options so you can create your own look. Our selection of VW Headliners for the Volkswagen Bus includes a variety of materials and colors. Our VW headliners are made with anti-microbial treated thread which resists mildew and rot to keep you headliner tight and looking great for years. We also recommend purchasing new headliner padding when you restore your VW Headliner. Replacing your headliner is a big job, so it makes sense to install new padding at the same time. It is easiest to install a new headliner when the seats are removed, so we suggest restoring your entire VW interior at once. We offer a huge selection of VW Door Panels available in Vinyl, Velour Tweed Cloth; all of which come in a wide variety of colors. These materials are a perfect match to all of our seat upholstery. Our high-quality replacement Door Panels feature original padded heat-seam patterns and thick Masonite board backing that is pre-cut for door panel clips. We also offer all of the parts needed to properly install your new VW door panels. We offer TMI Carpet Kits and Pads for the Volkswagen Bus. Our VW Carpet selection includes quality Loop Carpet, Cutpile Carpet or the Original German Squareweave in wide variety of colors. 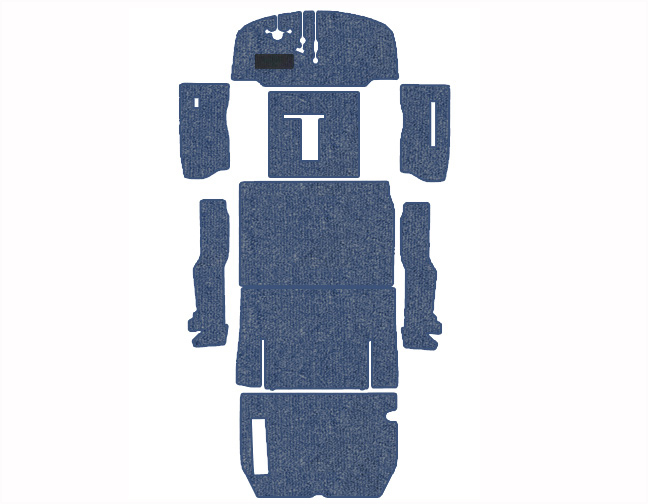 Our carpet kits are made of high quality automotive grade carpet with a thick rubber backing. We offer a variety of different carpet kit options for you to choose from. All of the carpets that we offer are precision fit to ensure customer satisfaction. We offer a complete selection of Volkswagen Bus Sun Visors in vinyl or velour in a variety of colors to match your seat upholstery and headliner. Our Volkswagen Sun Visors are the finest on the market. All of our VW Sun Visors are made in the USA with the exclusive Jersey Spring Clip mechanism to keep your visor in the proper position and prevent it from drooping. We offer a complete selection of Volkswagen Bus Glove Boxes and Items, including VW Glove Box Latches. 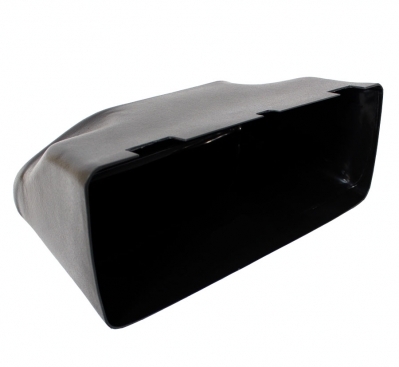 Our Volkswagen replacement glove boxes are constructed with durable hard plastic. They are designed to fit perfectly into your Classic VW Bus and last for years. Because the Volkswagen Buses made before 1968 did not come with an original glove box, we do not offer replacement glove boxes or glove box items for those VWs. 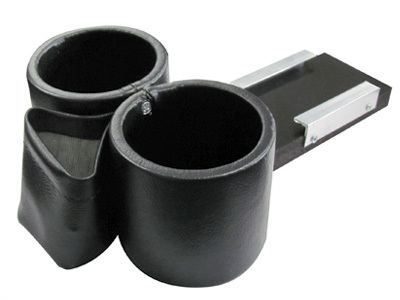 We offer a wide selection of Volkswagen Bus Cup Holders in your choice of styles and colors. Our VW "Plug N Chug" Cup Holder slides into the ashtray slot. It can hold drinks sized between 12 and 32 ounces. Plus, it has extra storage for a cell phone or garage door opener. Our VW Wireframe Basket Cup Holder hangs from the dash grill of your classic VW. It has plenty of storage space plus two drink holders, one small and one large. It is available in a variety of finishes. We also offer a variety of bench seat consoles in an array of styles and colors. All of our VW Bench Seat Consoles include two cup holders and a felt lined storage compartment. Our VW Bench Seat Consoles are made with high-quality vinyl and are available in over 30 colors to perfectly match the interior of your Volkswagen.